I’m always excited to explore the future of storytelling. Whether that’s on your iPhone, through social media orstrapped to your face in a VR headset, I really dig the bleeding edge of narrative in the 21st Century. 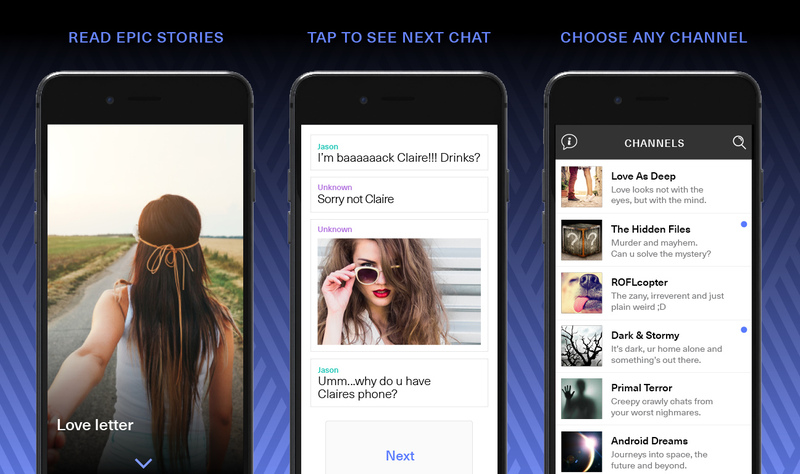 I’ve written several interactive stories for Hooked, an app built by the lovely people at Telepathic that’s been caused the “Twitter for fiction.” It’s like reading someone else’s text messages, but way more spooky/funny/romantic. Expect this page to develop quite a bit in the coming months — the new digital realm of storytelling is an area of my career that I’m especially excited about.